"If one of the world's smallest, poorest and most geographically isolated countries can do it, so can you..."
As the Republic of the Marshall Islands (RMI) mops up the damage in the latest in a series of climate disasters to hit the low-lying nation, the Pacific Islanders table a bold carbon reduction target ahead of the UN Conference in Paris later this year. President of the Marshall Islands, Christopher J. Loeak commented on the target, "[This] says 'we mean business', and we're not continuing with 'business as usual.'" This week the Republic of the Marshall Islands became the first small island state to set a new emissions reduction target for 2025 and the first developing country to adopt the simplier and robust absolute economy-wide target, a template used so far by industrialized countries. The simple nature of the pledge will be welcomed by negotiators and climate commentaros alike who are still presumably dredging through China's lengthy and cumbersome submission published a few weeks ago. The Marshall Islands INDC aka Carbon Target includes a pledge to reduce emissions by 32% below 2010 levels by 2025 which is in line with their 2050 vision of net zero emissions. The nation has long been a proactive voice in the battle to drive a binding emissions target at UN conferences as the Marshall Islands are particularly vulnerable from even moderate levels of climate change with the average height of the island nation only 2m above sea level. "=I am proud that, despite the climate disasters hitting our shores with increasing regularity, we remain committed to showing the way in the transition to a low-carbon economy. We may be small, but we exemplify the new reality that going low carbon is in everyone's interests. It improves our economy, our security, our health and our prosperity, particularly in the Pacific and more broadly in the developing world." "It may be true that the fate of the world will be determined by the actions of the largest emitters. However the actions taken by some of the poorest and most climate vulnerable countries will be vital for building political momentum for COP21 and exerting pressure on other countries to pledge ambitious action. As the first small island developing state to submit its INDC, the RMI has thrown down the gauntlet...its now time for other countries, especially the largest emitters, to come forward and match the ambitions of this small island state." "There can be no more excuses for delay or for low-balling ambition on the false premise that coal and other dirty fuels somehow increase prosperity. Exactly the opposite is true." 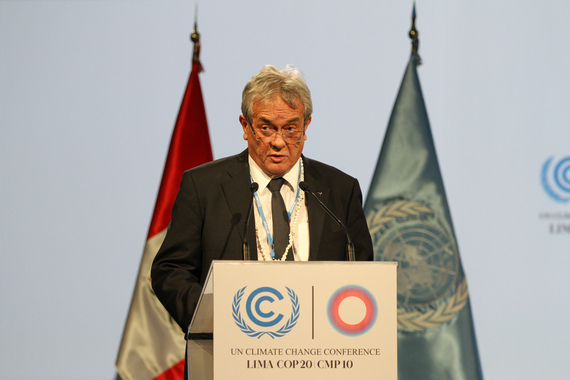 Looking beyond their own pledge De Brum is pushing for a 1.5 degree climate target stating; "We cannot go to Paris and sign a deal that says 'your island is going to be covered in water in 20 years." 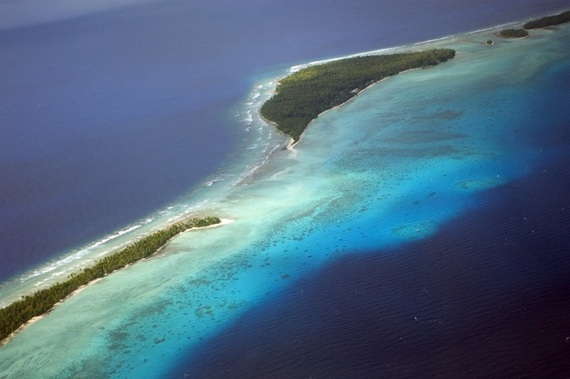 The Marshall Islands have spoken- will the rest of the world answer in Paris?